QUESTIONS? Please fill out the Water Carnival Contact Form below. Please consider registering for our various events through our secure online SignMeUp forms. It makes it so much easier for us! Scroll down for more information on each event. We would like to extend a very special THANK YOU to Hill's Plumbing & Heating, our Presenting Sponsor of the Red, White & BOOM! Fireworks Show on July 4! Show Your Support! Sponsor a BOOM Banner! WE ARE BRINGING THIS PAGEANT BACK AFTER A VERY LONG HIATUS! MORE INFO TO COME! The Bemidji Jaycees Water Carnival Entertainment Tent is back at the water front of Lake Bemidji! Stop on down to see what we have in store for you this year! The Warrior March is back this year in our calendar of events! It is a 5K march, along the south shore of Lake Bemidji, to bring awareness to the everyday struggles that our military veterans face. Registration for this event starts at TBD, on July 4, in the Bemidji Jaycees Entertainment Tent. 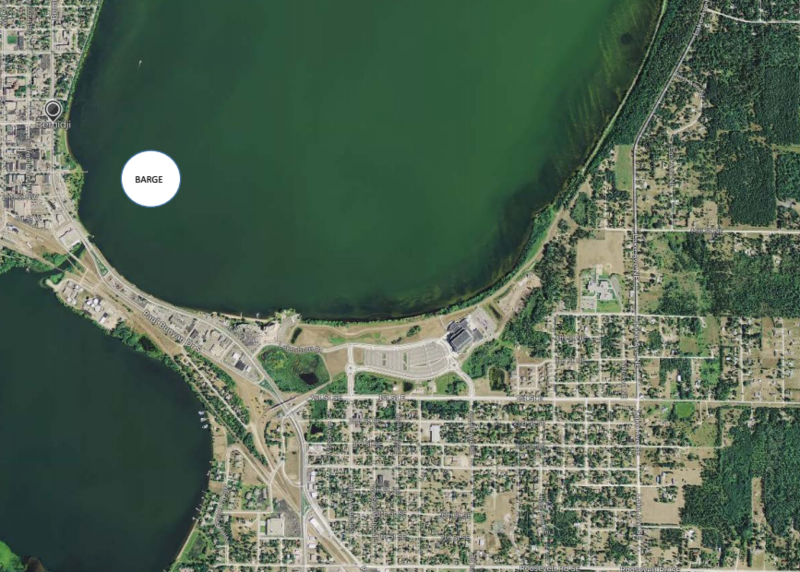 The March itself will begin at TBD, leaving from the Paul Bunyan Park parking lot going south, looping back at the Nymore boat access, and ending at the start point. Proceeds from this event will go to support local veterans and their families during the 2019 holiday season. Register by 11:59 pm on June 15 to be guaranteed a t-shirt. Online registration will close on July 4 at TBD. PLEASE BRING YOUR OWN CHAIR IF YOU NEED ONE! Join the Bemidji Junior Jaycees in this year's 5K Color Run along the south shore of Lake Bemidji! Check-in starts at TBD, on July 5, in the Bemidji Jaycees Water Carnival Entertainment Tent. The run will begin at TBD, leaving from the Paul Bunyan Park parking lot going south, looping back at the Nymore boat access, and ending at the start point. There will be several "Color Stations" along the way to blast participants with tons of colorful fun! Online registration will close on July 5 at TBD. Be a part of a long standing Bemidji tradition! The 75th Annual Bemidji Jaycees Water Carnival Grand Parade will be held on Sunday, July 7, at 1:00 pm. If you would like to be part of our parade please fill out the form below (coming soon). Pre-registration is required by Monday, July 1. Registration fees after July 1 are non-refundable. A late registration fee will apply after July 1. Please consider registering for the Grand Parade through our secure online SignMeUp form. It makes it so much easier for us! Just click the link below to get started. COMING SOON! Grand Parade Route: The Grand Parade starts at the intersection of 15th Street and Beltrami Avenue and travels south on Beltrami Avenue, turns west on 3rd Street for one block and then heads north along Minnesota Avenue, ending again on 15th Street. The Bemidji Jaycees are pleased to bring back the Water Carnival Craft Show to the 75th Annual Water Carnival. The show will be held in Library Park on Saturday, July 6th from 10:00 am - 6:00 pm. Saturday has Family Day activities all day and 3 Lumberjack Shows happening during the craft show. These activities should draw many people down to the waterfront during the Craft Show. We would be thrilled if you would like to join us. If interested please send an email to bemidjijayceescraft@gmail.com or fill out the Craft Show Contact Form below. This year's 75th Annual Bemidji Jaycees Water Carnival buttons will be available for sale on TBD at TBD. There will be two different buttons for sale, each for $3; the Standard Button and the Medallion Button. The Medallion Button is in limited quantity and is ONLY available from TBD. Water Carnival Medallion Hunt begins on July 1 and will continue every day until it is found! You must have the Water Carnival Medallion Button (with the GOLD background) to win the $500 Grand Prize. If no Medallion Button is presented, with the Medallion, a $250 Prize will be awarded. You can download the official rules below (coming soon). Clues will be posted daily in the Bemidji Chamber of Commerce display case located on the south side of the building. The clues will also be announced daily on Lakeland News, www.lptv.org, the stations of Paul Bunyan Broadcasting and R.P. Broadcasting. Clues will also be posted here on the Bemidji Jaycees website and our Facebook page by 12:00 pm each day. A new clue will be released each day until Sunday, July 7, 2019. No clues will be released over the phone. .5K KIDS RUN: Registration starts at 9:00 am in the BSU Bangsberg Parking Lot on the corner of 12th St NE and Lake Blvd NE. Run starts at 10:00 am and will follow Lake Blvd NE for about 3 city blocks. KIDDIE PARADE: Registration starts at 9:00 am in the BSU Bangsberg Parking Lot on the corner of 12th St NE and Lake Blvd NE. Parade starts at 11:00 am at the parking lot and will follow Lake Blvd NE down to the Water Carnival Entertainment Tent in Paul Bunyan Park. LUNCH & ENTERTAINMENT: Lunch starts at Noon for the Kiddie Parade participants and a TICKET IS REQUIRED. You will receive the ticket at registration. BIKE DIG: Starts at 1:30 pm. Come and join us for BINGO next to Merriam's Midway at the Sanford Center! The Bingo Tent opens at 5:00 pm on Wednesday, July 3, and then at 2:00 pm every day after that through July 7. What time is "dusk", you ask? The Bemidji Jaycees Water Carnival Red, White, & BOOM! Fireworks Show, on July 4, will be launched from a pontoon barge on Lake Bemidji, on the lake’s southwest shore near Paul Bunyan Park. See map below.